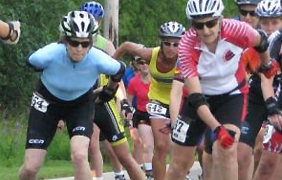 Make a vacation around the race and see all the wonderful things Ashland County has to offer! 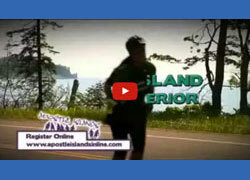 Lodging information: Ashland Chamber Madeline Island Chamber. For questions email us using our simple contact form. Click here to see views of the AIIM course. Want a smooth marathon experience? We are not only a fun and friendly race - but most of our course includes pavement that was new in 2009. Smooth pavement will make a great racing experience for you where the wheels meet the road. So instead of skating head down looking for trouble, you can lift your head up and enjoy the fantastic scenery. The race is held on Madeline Island - one of the Apostle Islands in Lake Superior. A better venue for "eye candy" is hard to find. You will skate through beautiful forest and along breathtaking Lake Superior panoramas. Come join us for the race!